It is pretty common to experience the feeling nauseous at night. It may be surprising for you to know that there are actually some people that experience the problem – and the issue itself is pretty common than most people think. It is mostly harmless and it doesn’t show any underlying issue, but if you want to make sure, it is better to have yourself checked and thoroughly examined. Basically, the cause for night nausea is similar to those for day nausea. Some of the common reasons are side effects, medication, viral infection, stress, and bacterial infection. Morning sickness due to pregnancy is possible – although the name may not suit the condition. 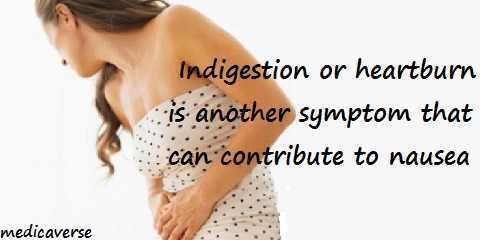 Cases with indigestion and heartburn can also be responsible for the night nausea. If you overdrink the alcoholic beverage, it is possible to result in the night nausea. If it only happens for once, you don’t need to worry about it. But if it happens constantly and often, you need to check yourself. It is one of the common reasons why the nausea happens at night. You see, when it is daylight, you may be too busy to feel the symptoms. Your body seems to ignore the slight symptoms so you can function normally and you (feel) that you don’t experience a thing. You are mostly busy with the anxiety and stress to address the signs. However, when it is night time, everything is more relaxed and quiet. You seem to be more sensitive and be aware of the symptoms – which will lead to stress, worries, and the feeling of overwhelmed. It is possible to experience the nausea because of those conditions. Despite the name, this condition can affect the pregnant women anytime of the day. You see, pregnancy is a tricky condition – something you can’t predict. It is your hormone acting up and hormone doesn’t know any day of time. It is possible that the sickness may get worse at night because of the empty stomach during the day. When you eat something, the problem won’t immediately show up. It takes time for the problem to register. When you consume something that leads to an upset stomach case, it will take time for the discomfort and the problem to show. When you eat too much or you may consume too many food variants within a short period of time, it may lead to the feeling of nauseous. If you overdrink, especially alcoholic drinks, it may also lead to direct and immediate nausea. But in most cases, people are able to go to sleep and feel the nausea later, after they wake up. This is what called hangover. In the event that you don’t do any of the previous activities or things and yet you are feeling nauseous at night almost every day, immediately go to the doctor and have yourself examined. The feeling nauseous at night may be a sign of any undetected underlying issue.